Craig: On this episode, we take a deep dive into social media best practices for advisors. What makes engaging content and how can you make it, how to reach the right audience and how to differentiate your content from everyone else. 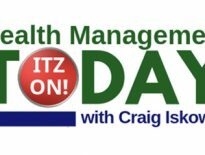 All of this and a whole lot more coming up on wealth management today. Craig: The invest in Others Foundation is a nonprofit that recognizes financial advisors for their exceptional charitable work. The nominations window for the 13th annual awards gala is now open. I was fortunate enough to attend the gala last year and one of my favorite parts was the video interviews they did with each advisor about their charity work. It was an incredibly moving experience to see the tremendous impact that these charities provide back to their communities and how InVest and others was helping. If you know a financial adviser who was actively giving back to a charity, please nominate them at InVestinothers.Org/nominate by April 5th winners. will have a chance to receive up to $50,000 yes, that’s $50,000 for the nonprofit they support. This is a great way to highlight the good that exists within the financial services arena. I like to encourage all of my listeners to submit the name of an advisor they know to invest in others since I’m sure their charity could use some of these extra funds to help their cause. Craig: Today’s guest is Kevin Mulhern, cofounder and CEO of AdvisorStream. He founded AdvisorStream a little over six years ago and was a founder of three previous startups including a Canadian retail brokerage firm, a new media outlet for financial services and a cloud base educational company that was headquartered in Japan and AdvisorStream is an automated content marketing platform built specifically for financial advisors to help them create and deliver powerful client communications and engagement. there are a number of similar products in the market, but one of the unique features of advisors from that I really like is the way they consume and present every piece of content. They don’t just email out links like other products do, which can be behind paywalls and even have ads for competing providers. No, what AdvisorStream does, they have agreements with the major content providers and then displays their content. Totally free of advertising except for the financial advisors picture and contact information. This, delivers a premium client experience. I really like the product a lot. I’ve been Looking forward to having Kevin on the show for a while. So please join me in welcoming Kevin. Kevin: Thank you very much. I’m very excited to be here. Craig: I’m excited to have you on the podcast. So, Kevin, I just wanted to jump right in. looking at your background, doing some research, before we talked. I see you used to be a consultant, which is one of the things I really like about you. So from that background where you were a consultant and then worked at PriceMetrix, how did you come to found AdvisorStream? Kevin: That’s a good question. it was pretty clear to me through some other work that I did that there was a real opportunity in the marketplace. I haven’t been building web based tools. now AdvisorStream is a SAAS based company, but before we had the word software as a service, we really had client server software. And before that on-premise software and I don’t want to make myself sound like I’m 70, but, I’ve been around for awhile. I’ve been building tools for advisors for almost 20 years for TD Waterhouse in five different countries. And then I was very fortunate in becoming a partner in a high net worth brokerage firm up in Canada. That was where I really saw an opportunity. I was working for a firm, there was eight of us. We were funded by a family called the Richardson family, out of Winnipeg and they gave us a great opportunity. They said, here’s all the money you’ll need. Go build a brokerage from the ground up with no legacy systems holding you back and make it extremely tech-focused in how it operates. And so that was a real opportunity. That was up until about 2008 that I was there and then I left. But I realized when I was there that like TD Waterhouse and like the time I did spend at Morgan Stanley. And at this firm GMP Richardson Financial Partners, I really saw an opportunity to help out advisors with marketing. The Internet was exploding. Obviously social media was up and coming, websites had become commonplace for advisors. But they didn’t really seem to be benefiting from those tools. They didn’t seem to naturally gravitate into a way that they could put them together, their websites, their email communications and this up and coming social media platforms. So that’s when I got together with Martin Hill, my CTO, and we started mapping out AdvisorStream. Craig: So when you started coming up with AdvisorStream, was there a specific goal of helping advisers to increase their business growth or was it more getting them into the sphere of social media? Kevin: It was a couple of things. We asked, what problems are we answering? And that’s kind of how we approach everything, even when we’re adding new features to AdvisorStream or new tools, we always ask ourselves, what problems are we fixing, what problems are we addressing? And we have an advisory board and that advisory board has 12 members from different companies across the country. Edmond Walters has joined the advisory board. He’s also a board member. And we asked them, is this a big problem and whatever it is that we’re wanting to address. Kevin: So initially we said to ourselves, there’s a couple of problems that we want to address; retention and expansion, two things that every business needs to address. But financial advisors hadn’t really been given digital tools to do that. So we were trying to ensure that you had high client retention. And there’s a couple of reasons for that. And secondly, we wanted to capture you net new business, new accounts from existing clients and new accounts from net new clients, new leads that we would help you capture. So the first problem, retention is actually not a problem if you don’t have high retention rate, but if you have a high retention rate, it’s not a problem at all. It’s an opportunity to find new accounts through very engaged clients. So the first problem was retention. And the second problem we wanted to be part of the solution for was expansion. And that’s really still how we see things today. Kevin: There’s a lot of studies out there. We’re happy to provide a study. We actually have something we call the investor communication landscape, which is a tracking of a number of studies that we do here at AdvisorStream so that we can have a clear view on the challenges and opportunities that face advisors if they want to leverage digital marketing. I won’t list all of the studies, but I will tell you that advisors would say to us, digital marketing, how can I use it and why should I do it? And if I don’t do it, what are the consequences? And so we always answer those questions by saying, there’s a great Vanguard study actually on client engagement. And one of the insights that came out of that study is that engaged clients who report feeling engaged, regularly contacted by their advisor, receiving regular communications from their advisor, whether that’s through email or through social media or through other means, websites, et cetera. They’ll invest twice as much of their assets and they will refer their advisor twice as much as someone who doesn’t feel engaged or doesn’t feel like they received an adequate level of communication from their advisor. Kevin: So those are the answers to two important things. One, why should you use digital marketing? And the answer is you can grow your business much quicker from your existing clients and from new clients. And then secondly, we talked to advisors everywhere and sometimes we’ll hear advisors say, I’ve got a business, a big business, I’ve got a great group of clients. I’ve got a great book. I’ve been around for 25 years or 35 years. Why should I embrace digital marketing now? And that’s a really good question. It might sound strange, but why should someone bother to deploy digital marketing techniques or tools? And the reality is that expectations of investors of clients, it’s changing rapidly. Kevin: And there’s a number of studies out there showing this one great study by Salesforce tracking for years now where client communications ranks in the scale of importance to an investor. It’s a great study. And one of the insights from that study that I think is very powerful is that the second most cited reason that an investor will give for leaving their advisor. So it’s reasons they cite for leaving their current advisor relationship is lack of communication. it’s the second most cited reason. The third reason, the third most cited reason is actually bad advice. So we’re now in a world where investors’ expectations for communication and contact is much, much higher than it was even five years ago. That being number two, it used to be number seven a few years ago. It’s very quickly moving up that ladder of importance of value that investors sees in their adviser. we could talk about that forever. and like I said, we could provide all of the tracking we do on different studies, but those are two points we always try to make is, if you use digital marketing and you engage your clients, you’ll get a larger share of wallet from each client. You’ll get a big increase in referrals from your existing clients. You’ll identify new account opportunities from new clients. And if you don’t communicate consistently and you don’t use automated digital tools to do that, you do really put yourself in the line of fire for defections of clients today. And that’s more and more true. It’s true across all age groups, across all account sizes, that the expectations for communication have greatly increased over the last few years. Craig: Kevin, that was a very robust answer and you covered three other points that I was going to ask you later, so well done. One thing I wanted to ask was can you provide a definition of digital marketing? What is it and what isn’t a part of digital marketing? People think they know what digital marketing is, but I think there might be more to it or less to it though. There’s so many different outlets. Is it just posting on social media is it just sending out emails? Is it something more than that? So when you say digital marketing, I think a lot of people think they know what that means, but maybe they don’t. Kevin: Okay. Yeah, I think that’s a really good question and one maybe should be asked and answered a lot more often. digital marketing to me is a whole collection of tools that’s still growing and will continue to grow. At AdvisorStream we identify the different channels that can be used for digital marketing and let me be more specific. We want everyone to try AdvisorStream but there’s lots of good tools out there. I’ll tell you why ours is a little different, but digital marketing for us is an omni-channel program of communication. so let me break that down a little bit. Omni-channel, so all channel really for us that’s email based communications which are outbound. Then there are social media based tools. We use Facebook, linkedin and Twitter as partners and as destinations that we send relevant content to. So we use email, we use social media, and we use websites and blogs. And we see how all of these different channels actually work together in concert to ensure that your clients and your prospects can interact with you however they want to. So if they like to read through social media newsfeeds, great. AdvisorStream will ensure the most relevant premium, credible content that you’ve created. And that other publishers like our partners like Wall Street Journal or Bloomberg or New York Times or Barrons, whatever it is, we will ensure that we drop the right content for your business and post that on social media. Or we’ll also post that on your website simultaneously. And of course we use relevant, premium, credible content to support your messaging through email. so what is digital marketing? it’s A collection of channels and tools that allow you to communicate through these digital channels and they can work together. Now I can talk about that later. How they do actually, work together and Michael Kitces, does a great job of this and you and I had great conversations about this. I think the last conversation we had, was at that T3 in Dallas. But digital marketing is not one thing. It’s a collection of things. AdvisorStream automates the use of all those different channels. We automate the delivery of your content and supporting third party content through all of those channels. So I don’t know if that’s kind of a wide answer but digital marketing is not one thing. It’s a collection of digital tools and a collection of channels to deliver your message and your content. Craig: That’s a great answer. This is the part of the podcast where I turn on my guest. Do you think it is possible that when clients say that lack of communication is a big problem, could mean face to face communication and that the digital communication isn’t as effective. Kevin: Yeah. That’s a great thing to focus on. clients want all types of communications. And again, there’s some great studies I can share with you on this. Face to face communication is the best communication anybody could ever have. I certainly feel that way. I think most clients feel that way. But I would caveat that by saying not all people want as much face to face communication as you might think. So expectations and desires for a blended approach to communicate with clients is required today. And people say, Oh, you’re talking about Millennials. Millennials just don’t like to meet people face to face. That’s not true. it’s not an age category preference. There are people in every age category and every account size who want some face to face personal meetings and communications, but they may not want that every quarter. They might want that once a year or they might want that twice a year. and what we’re realizing, and it’s becoming fairly obvious to everyone at this stage, is that people want a blend of communication. they want you to be communicating to them. They want to know that you consistently care about them, value them, and provide thought leadership and informational and educational content that’s relevant to them. They want to know that their advisor is out there monitoring the world’s events and their portfolio and ensuring that their client and their client’s whole household is being looked after. Even if they aren’t in front of you every quarter or every month or all the time. They want to be sure that they’re hearing from you, whether that’s via email or by text or by having an update sent to them from your social media feeds or from your website. They definitely will also want face to face communication. But I think maybe not as much as they once did given all the availability of different ways to receive valuable information today. So I think everyone wants face to face communication. I don’t think everybody wants as much face to face communication as they once did, as long as that is being supported by other means and digital means of providing touch points. Craig: Another subject you covered in your previous answer, which I was going to ask you about, is your partnership with Apprise Labs and Edmond Walters being on your board. How did that come about? Edmond who’s a great leader in the industry and has a lot of experience building up eMoney Advisor and now moving on to something new. How’d you get him on your board and how did the whole partnership with his new venture come about? Kevin: I think most people know Edmond. He is a visionary kind of guy. and we are extremely ecstatic and we are benefiting in a major way from working with Edmond. We are ecstatic as I’ve said, to have availability to Edmond. He is a busy guy. I do spend a fair amount of time with Edmond. so we are just so fortunate to have him help us grow our business, which he certainly has been doing. I met Edmond about three years ago, and believe it or not, I met him because he found us. Edmond is constantly out there looking for new tools and new ways to improve advisor’s practices. Edmond was an advisor for a long time before he built eMoney and, so he comes at things from the eyes and the perspective of an advisor. So he’s constantly out there looking for new tools and new technologies that he thinks could be valuable. Kevin: And that’s really what happened with AdvisorStream. He found us, I think we were at a marketing conference in New York about three years ago. He reached out to us and by the time I talked to him, he had already completely vetted our platform! He’d already got himself an account or had someone get an account, completely vetted it, knew everything about what we did before I ever spoke my first words with them. And my first conversation with him was great. He basically said, I need you to get down to Philadelphia immediately. So I said, okay. And we started talking and then things progressed later on. He was pretty busy with a number of things so we unfortunately couldn’t work with him for a couple of years there after he sold eMoney. That was fine. It was great to meet him and to be on his radar. then following a number of things he was focused on. he started with Apprise Labs and started building out Apprise Labs. I think something he had had in his mind for some time and he immediately saw how we would integrate and fit into Apprise Labs. And of course we are very excited to be part of that. for a number of reasons. I think it’s a really, really great tool and one that’s going to take off. and not to mention, him being able to pull together people like Judson Bergman and Bob Curtis from Money Guide Pro and get them to work together is something that only someone like Edmond could do. so yeah, we’re thrilled to be on that ride with him. Craig: Do you see that as a big part of your strategy partnering with Fintech firms to become their preferred social media content distributor? Kevin: Yeah. this brings up a really important thing that we would like everyone to think about when they, think about AdvisorStream. And that is we’re an automated marketing platform and you and I just discussed what is digital marketing, what is it really and what we said is it is a bunch of tools working together in concert to deliver the right content to all channels so that you are consistently communicating and having touchpoints with your clients. And why AdvisorStream is different than anyone else is we focus on content marketing. So you’ll hear that phrase a lot too. And what does that mean? Well, it’s really the heart of the way AdvisorStream, approaches digital marketing. we believe that content is king and the content experience. When your clients are reading an article or watching a video of yours, you want that content to be the most premium credible valuable content and content experience that you can possibly provide. So we are very focused, the most focus of the different options for out there For Advisors, we are the most focused on content and content intelligence. That’s where we’re really focused. Kevin: What does that mean? It means we have millions of data points around all of our content that’s streaming in from our publishing partners in our library in real time every day. And we also have individual profiles on every single investor. So an advisor who uses AdvisorStream, all of his or her clients we’re constantly tracking and monitoring and evolving a profile on every single one of their clients. And it’s a content consumption profile. So we know exactly what is the most engaging content, what focuses each investor, each client or each prospect is, really engaging with. So we know if they’re really interested in insurance right now or if they’re really interested in another product or another need, whether that’s portfolio rebalancing or they’re worried about volatility or they’re reading a lot of information around, estate planning or gifting or whatever it is. 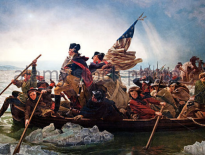 Content marketing for us is at the heart of good marketing in general. We think content is king, just like your podcast here. Everybody can buy the podcast tools and everybody can start their own podcast. But depending on how good the content is, is going to dictate how many listeners you get. And that’s the same thing with an advisor. If you have valuable content to deliver you have a valuable message, valuable guidance, and thought leadership for your clients, they will share that with their friends and those friends will share it with their friends. And you will build your business, not just increase this client share of wallet. You’re going to be heard by people that you don’t even know because your message is going to travel digitally through the networks of your clients and the people they know. So content is king. And we feel that digital marketing is most effective when it leans heavily on highly credible, highly engaging current content. Craig: You Hit on another one of my topics I had on my list of things to talk to you about. when advisors are engaging their clients and when they’re tracking the analytics, on your platform and they’re seeing, hey, this client’s interested in insurance, do you recommend they reach out to that client and say, Hey, I saw you were looking up insurance, we’ve got a great new insurance policy for you. How do they approach that? Kevin: Yeah, I won’t try to explain how the user interfaces work and how we do that on radio just cause it’s tough. But the answer is yeah, we do that. We identify, we call it smart lists. We launched artificial intelligence. Everybody’s talking about artificial intelligence. And a vast majority of the time when you hear it, it’s being used as a marketing term and it’s not really a valid use of the word. At AdvisorStream, in the Fall we did a quiet roll out of artificial intelligence that really works by machine learning. So our algorithms learn constantly what is important to each client and each prospect. And then we develop what we call smart lists. So we’ll tell our advisors, hey, here’s which people are focused on which product areas and which service areas. And we then prompt them not only to reach out to those people, those existing clients and prospects, but we actually give them the most targeted one to one curated content, whether that’s a Wall Street Journal article or a Bloomberg video or a Washington Post infographic related to the exact topic that they’re focusing on, whether that’s insurance or that’s something else. So yeah, our platform does that in an automated way. So there comes that word automated marketing. And truly we are an automated marketing platform. We’re going to make sure that you’re consistently communicating with the most valuable content, your own content and third party content through all channels. And we’re also going to give you those insights like you’re asking. Now we’re going to tell you, here’s the people that are focused on these different product areas. And as I said, we’re going to help you communicate with them. when we identify those opportunities and you can completely automate it. But the advisor does need to make sure she or he is taking a look at the analytics. The analytics as you’re asking about are really the Eureka moments or the new account opportunities are really found in the analytics. Craig: Let me take the flip side of that. So I think everyone listening and us included has experienced when you go on Amazon and you search for hiking boots, and then every website you see after that has ads for hiking boots. And everyone pretty much hates that as far as I know. So how do you avoid that type of creepy, “Yes, we’re watching whatever do” type of feeling with clients. Kevin: It’s interesting. just before we met here, I came out of a meeting where we were discussing this. We don’t do programmatic advertising or programmatic communications. That’s really what you’re talking about when you see those ads chasing you around. and you’ve probably heard in the last few months some concerns of people believing their devices are actually listening to them and then serving them ads. And who knows, I can’t claim to know one way or another if that’s happening, but I do know for a fact that there are a lot of programmatic advertising platforms and solutions out there. And what they do is exactly what you just described. They literally are taking your activities online, monitoring those and then serving up ads that they feel are likely to get you to buy. Why we’re totally different is we don’t chase you around with ads. We instead, on the behalf of our advisers who subscribe to our platform, we carefully monitor what you’ve read. We don’t look at anything beyond that. We don’t work with any services or intelligence companies that would provide your search history or what you’re shopping for. Instead we’ve chosen to create the most advanced consumption history profile for each of your clients and prospects. It’s kind of like if we knew every book about finance and every book about personal wealth management and retirement planning, that in every article and book or video that your client has ever seen, we know what parts of their financial wellness puzzle might be missing. So we don’t chase you around or your clients or prospects around with content that might be engaging to them or might be relevant to them. We know what content is relevant to them. The accuracy rate for us is extremely high and just gets higher over time. So the longer you’re using our platform, the more accurate your content gets. For each of your clients and prospects. So we don’t do anything other than track exactly what your clients are reading and watching. We don’t care about their shopping habits or anything else like that. Craig: Good to know. Because you don’t want to get creepy. Kevin: No, exactly. we’re trying to avoid that, that’s for sure. Craig: So jumping back a bit in time when you started AdvisorStream you were in Toronto, eh? Kevin: I did start it in Toronto and we do have a bunch of our staff up in Toronto, but I spent almost all my time all over the US. I do try to go back to Toronto when I can say hello to everyone. But I’m pretty much in the US and in the UK a fair amount right now cause we’re launching in the UK. Craig: For sure. So what’s the fintech startup scene like in Toronto? Kevin: It’s actually a really robust Fintech community. It’s getting bigger and bigger and bigger. I think there’s a few reasons for that. There’s a real concentration of financial services in Toronto. Pretty much the entire country of Canada has its financial heart and nervous system is Toronto and Toronto is closely connected to kind of the MIT of Canada, That’s where all of our engineers come from. Almost all of them, although most of our engineers have worked in the US. our CTO actually worked for a robotics company that did a lot of work on the international space station, he won an innovation award from NASA. So we’ve got some really bright minds up in Toronto. That close proximity of University of Waterloo to the center of Toronto is creating a real Fintech scene. You should come up and see it. I’m going to be back up there in a few weeks. and I always go to Fintech events when I’m back in Toronto. Craig: Yeah, you’re going to Collision? Kevin: Yes. Everyone’s very excited about that. Craig: I will be there. Kevin: Well, that’s wonderful. You’ll have to come by the AdvisorStream Toronto office at that time. Craig: Absolutely. Sorry to interrupt the show, but we just need to take a quick break. to talk about our awesome sponsor. 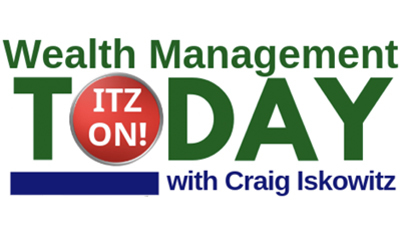 This episode of wealth management today is brought to you by Ezra group consulting. Hiring the right technology consultants can have a huge impact on your business or the wrong ones can crater it. If your company sells software or services to the wealth management industry Ezra group can help you improve your products, better understand your target markets and gain insight into your competitors. Go to EzraGroup.co for more information. Craig:So getting back into these other areas I have listed here that I want to talk to you about. Some stats I was looking at show that according to some surveys 97% of advisors use social media. So the automation tools aren’t really about getting advisors to use it because they already are. So what is it about your tool that makes them use it better and how can it improve over what they’re doing manually? Kevin: Really good question. And that’s a great number. I knew it was high. The case is not that advisors don’t have the tools today. back when, I founded the company about five years ago, advisors were still really adopting the use of Linkedin, Facebook, and in some cases, Twitter, in the social media world. there’s really two things here to answer the question. One, everybody can have a linkedin page or a Facebook business page or a blog or website, but that doesn’t mean you’re going to get traffic. It doesn’t mean that when somebody is at one of those sites you are going to be able to capture a prospect. There are very specific things you need to do to create those scenarios where you are getting consistent traffic to those channels, those social media channels. and then to get that traffic to convert to prospecting, you need to do some very specific things. You need to get them to opt in to your regular email communications. And again, this is something Michael Kitsis well described, but social media’s value is, as long as you have content that is highly engaging on those different properties, Facebook, Twitter, Linkedin, then you can can convert or you can get people who you don’t know, prospects, fresh new leads to say, Hey, this is valuable content. I’m going to subscribe, I’m going to opt in to give this advisor my email address and I’m going to let him communicate with me. Kevin: And that’s really what you want to do. You want to spread a net, a wide net of tools, linkedin, Facebook, Twitter, a website, a blog, and you want to use all of those channels. Those are inbound channels. You’re waiting for people to come into your linkedin page to come into your website to come into your blog. So those are inbound channels. You want to capture email addresses and then you want to use the only truly strong and a really effective outbound channel. Good old email and you’re going to see a resurgence. I’m already seeing it now people realizing that the most powerful digital channel is good. old faithful. email. And if you think about it, it makes sense because the only thing you can control is something that is outbound, email. You decide what you’re sending, you decide when you’re sending it. And that way, you control when you can get in front of your current clients and prospects inbound, your website for example, really is up to your client or this prospect to be doing a search for a certain thing. And we do help make sure that your AdvisorStream and other marketing tools, make sure that, your website is highly ranked, that’s important. Kevin: But remember they still have to go to your website. That’s an inbound and you’ve got to think to yourself, I think you just gave us the stat that 97% of advisors are using social media. Well that’s certainly a lot of linkedin pages or Facebook business pages that I can choose to go to. So I would ask yourself, in the morning when you get up, what do you go interact with? Well, I interact with my email first. That’s the very first thing I do. And I think you’ll find nine out of 10 people will tell you the same thing. I don’t anymore have time to go check out all the different professionals I work with personally. I don’t have time to go look at all their websites every morning. I don’t go to my mechanics website, my veterinarians website, my doctor’s website, and maybe my advisor’s website. but I do check my email. So while social media is widely, widely used, it’s how effectively are you using it? Content is king and do have great content on your digital channels? If you do capture email addresses and then consistently communicate with those people through email. So that’s how these things work together. inbound channels allow you to grow your outbound abilities. Craig: What makes engaging content? Kevin: This is something we’re going to be really focused on in 2019, and that’s content intelligence. That’s what we’re focused on here at AdvisorStream. we want to be able to learn from people’s consumption of content and we want to be able to effectively market to them or, increase account sizes and capture new accounts, through content marketing. So what is engaging content? It Is content that has a few different properties. One, it’s credible. there’s so much information out there today and people are bombarded by different people all the time. If you’re not delivering content that people find valuable, insightful and trustworthy, it’s not gonna resonate. So credible first. That’s why we work to support an advisor’s messaging and affirm an advisor and his or her firm’s messaging. We find content from Wall Street Journal, from New York Times, Washington Post, Fortune, Forbes, Barron’s, Bloomberg, we work with about 30 different publishers. We believe you only want to be using either content that you’ve created or content that your firm has created or credible third party content. You don’t want to be backing up your messaging or let’s say you’re having an insurance workshop and you want to invite all of your clients and prospects out to that. And you want to explain how to use certain types of insurance and you wanted to use some supporting content to backup what your thesis is or what you’re going to be talking about at that workshop. You wouldn’t want to use content from Dave’s insurance tips, or some unknown, unproven, source of content. So the first thing with engaging content is it’s got to be credible. It’s got to be from a credible source. Kevin: Secondly, it’s got to be fairly current. this is something people are struggling with today and it’s interesting, again, I won’t quote a bunch of studies, but the length of time that a piece of content, a topic an idea will trend, will stay in the focus of people is shortening all the time. right now it’s about three days, three or four days, and after three or four days, people start to think of a news story or an article or a piece of content as old, as no longer current. it used to be a month Oh, this article was written earlier this month. That was great. Today people say, Oh my God, that was written two weeks ago. It’s old news. It’s amazing how the expectations for current content have increased. And we have a couple tools here we use, one is called trend spotter. But we are able to actually watch the attention span related to a piece of content. we can send an article out, let’s say it’s about reducing student debt. and we can literally see when that remained a trending piece of content and when nobody was really interested in it anymore. And we find at about three or four days that interest level wains, almost to zero very quickly. So you want to be using credible content that’s fairly current, and that does take access to credible sources that have large amounts of content that we’re producing. Kevin: One other note that I would make about engaging content is that it should come from a great source. It should be fully branded. So if an advisor is sending out a Wall Street Journal article, you don’t want to send a link. And this is where, to answer your earlier question on how we do things a little bit differently over here at AdvisorStream compared to almost everybody who’s doing automated marketing with content, is that a lot of people are just linking their clients or their prospects to an article, right? So you’re simply saying, hey, come and visit my Linkedin page or come visit my Facebook page or come to my website and then they’ll have a picture and a brief summary of an article and they’ll link back to that article, wherever that article is actually housed, whether that’s New York Times or Washington Post or, or Wall Street Journal. And the problem with that is all three of those publications have paywalls and paywalls are getting more and more and more prevalent. You’re going to continue to see that. So if you’re providing your clients or your prospects content and you’re doing that by linking them to another website like the Wall Street Journal, it’s a terrible thing to do. And there’s a couple of reasons for that. Kevin: One is paywalls, as I’ve mentioned, it’s not a very good client or prospect experience if you’re trying to inform them about something important to their portfolio or important to their financial wellbeing. and they’re asked to pull their credit card out to subscribe to read it. That’s terrible. And even if they did have a subscription to that Wall Street Journal, if you were simply linking them to it, let’s say they did have a subscription so they can access that article or that infographic or video, it’s going to be surrounded by calls to action in advertising from your competitors. So, if you’re sending all your younger clients to an article about the importance of getting rid of student debt and building your credit rating, let’s say you send them to the New York Times or The Wall Street Journal, they’re going to hit that paywall. Once they get through, if they get through, most of them won’t. Less than 10% of people have a subscription to any online news. if they get through, they’re going to be bombarded by your competitors advertising. it’s going to be surrounded by different firms. So let’s say you work at Raymond James, when you send your client, if you link your client through, they might see Raymond James, but they are definitely going to see a whole bunch of other competing advertisers calls to action from RoboAdvisors, and all your competitors advertising. Kevin: So to sum up on that note, engaging content is content that comes from a trusted credible source should be fairly current. You don’t want to be sending content out from months ago. it should be on a topic that’s targeted to whom you’re delivering it to. And lastly, the experience should be top notch and at AdvisorStream. That’s why we’ve partnered directly with all the publishers so that we can avoid paywalls. There will never be a paywall when your clients or your prospects interact with content that comes from our platform. And you’re not going to put your clients in the line of fire of your competitors. Pretty counterproductive to have worked hard to garner the trust and a client only to then systematically and consistently put them in front of all your competitors calls to action. It’s just counterproductive. Craig: That’s one of the things I liked when I saw your product demo. How you put the white space around the content. Kevin: Yeah, we’re ingesting it, right? We’re not sending your clients away from your website or away from your linkedin page or your away from your blog, all those important channels to collect email addresses to then nurture new prospects. We’re not doing that. We’re ingesting the Wall Street Journal article. We’re ingesting the Barron’s article into your page. So fully branded with your branding, no one else’s branding, no paywalls and all of your contact information and the ability to set up a meeting right through that Wall Street Journal article. Craig: I thought that was really cool. So you’ve got your engagement, we’ve got the tools we have, the digital marketing, we’ve got the branding, we’ve got the engaging content. So how do you know when you’re reaching the right audience? Kevin: Yeah, good question. There is a very easy way to know this. You can go back to two metrics that everybody should always be measuring. with content initiatives and digital marketing in general. when you send content to people, what is the open rate and your click through rate. So when you send content, what percentage of people actually open it? Pretty important stuff, right? If you’re sending content, do people want it? Do they open it? That’s an important metric that’s just as important or maybe more important. let’s say you’re sending a weekly news update, which we do for all of our advisors. What is the open rate? And when your client and prospects open that news update and our updates carry six pieces of content every Friday. Some people choose different days, but let’s just think about that case. We send a news update, it’s got six articles and videos from different, credible sources that are aligned with what messaging you’re delivering. So you might have a piece of content on maybe an insurance workshop you’re going to support with content from New York Times and Wall Street Journal, et Cetera. so what’s the open rate, but then what is the click through rates? So now that they’ve opened that communication, what’s your click through rate? So that click through rate will tell you what they’re reading, and you can see which clients are reading what content. And we automate all of that monitoring of course. So those are two things that you want to ask any platform, whether it’s AdvisorStream or anyone else that you’re working with on your outbound communications, your email based communications, what’s the open rate and what’s the click through rate. And then you can also use the click through rate on your social media and on your website. And then one other important thing to look out for is, subscribes and unsubscribes. it’s a boring old metric, but if people are unsubscribing from your communications, that’s a bad sign. And if there’s not net new people subscribing through your digital channels, that’s also a problem. So added by stream, those are the things we watch and no matter what platform you’re using, and I hope everybody’s using some digital platform today. please give ours a try. But no matter what platform you’re using, definitely you want to know what your engagement metrics are, your open rate, your click through rate. Craig: We are running out of time. I want to squeeze in one more question. So you’ve got about a minute to answer this. With more and more automated tools out there besides just AdvisorStream, how do advisors differentiate their content from all of the other advisors who are also using automated tools and pushing out content? Kevin: Really good question. Probably one of the most important questions that every advisor should ask themselves. I saw a terrifying study yesterday that I’m going to give you two numbers, 60% of all advisors are not differentiated. in other words, 60% of Americans think that there is no difference between advisors. That’s not a good sign. And the other study that I read stated that 40% of current clients would have no problem changing, their relationship their advisor relationship or switching services to a different type of service provider altogether. That’s not good. it is important that you differentiate yourself. Whatever marketing platform you’re looking for, make sure that it’s using one to one curated content. that might sound like a fancy term, but what that means is we have huge access to a huge amount of content. We use each and every individual client and individual prospects consumption patterns to figure out what content should be delivered to them. So we do that work for the advisors. so that ensures that our every advisor, at least using our platform, is ensuring that they’re using tailored content for each of their clients and prospects. So that’s taking it to another level, not just making sure that each advisor has different content. We’re making sure that each client is getting relevant and unique content, but your, point is valid. any adviser out there who’s choosing a digital marketing platform, look carefully that you’re not just going to be using canned content, a content library that everyone’s accessing exactly the same 20 articles or 200 or a thousand articles, but they are just canned and that they’re going to be sent out to all clients the same content. Many times that content turns in evergreen content, while evergreen content or a little bit older content is powerful, can be useful. It should not be sent out alone, it should always be beside very current content to give it a sense of immediacy. but no matter what platform you’re using, take a close look at what the content is that you’re going to be sending out to clients and prospects. Remember digital marketing only works with great content. So the content is at the center of the value of any digital marketing platform. And there are good platforms out there. of course I’m always going to promote AdvisorStream. I think we have by far the best content, but I’ll leave that to the advisors. Just make sure no matter what tools you end up using, everything’s getting automated. So, it’s really important that you do that work up front, especially if it’s all gonna be automated for you later. You’ve got to do that due diligence. Make sure you’re really taking a hard look at what content is going to be in front of your prospects and your clients.